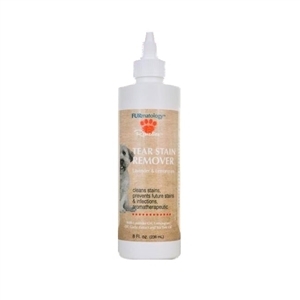 FURmatology Tear Stain Remover uses natural oils & extracts to safely remove and prevent topical stains on your pet's fur around the eyes. Natural surfactants and antimicrobials cleanse stained areas, helps prevent infection and have aromatherapeutic effects. Effective results are sure to enhance & brighten your pet's eyes. Espree Aloe Opti-soothe Eye Wash 4.oz PPP Eye Safe Eye Protectant - 4 oz. Espree Tear Stain & Spot Remover 4.oz PPP Tear Stain Remover 4.oz.